Located in the US, the Entomological Foundation is a national nonprofit youth serving organization. It serves educational enterprises by leveraging science community resources to educate youth in applying insect science for achieving a healthy environment. The foundation’s mission is to build a future for entomology by educating young people about science through insects. As a part of its mission, the foundation wanted to develop interactive learning programs and move from traditional classroom teaching to eLearning. The target audience was students in the age group of 7-9 years. It was imperative that the learning be extremely interesting and effective for a complex subject like this. Team Harbinger understood that a program like this would have multifarious requirements. It was a given, that the program had to be user-friendly, secure, quick to load, engaging and visually appealing. 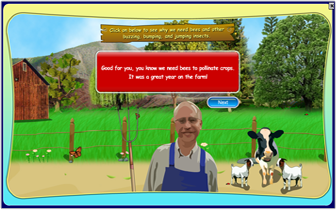 An interactive game-based solution was designed. To ensure that a young learner is engaged, an ‘Ant’ was used as a mentor to introduce the learner to the world of insects in a modulated voice. The course starts with the mentor taking the learner through a set of questions, the response to which classified the learner’s awareness of insects as a beginner, intermediate and expert. 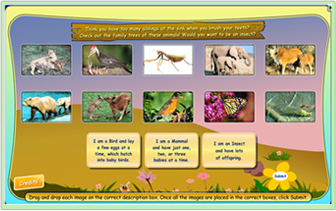 This helped to personalize the content based on the learners’ level of knowledge. Our aim was to ensure that the transfer of knowledge to the real world is seamless. Although acquiring real photographs of different insect species was a challenge, the team at Harbinger successfully procured the photographs by contacting various entomologists and photographers. To ensure that these courses run smoothly without any loading issues due to the bandwidth, the files were optimized for size without losing out on quality. This made the courses easily accessible from school as well as from homes where low bandwidth connections are often used. In the beginning, the course generates a unique IDs called ‘Roll no’, which the learners is asked to take a note of. These IDs can be used for future login and for bookmarking purposes. 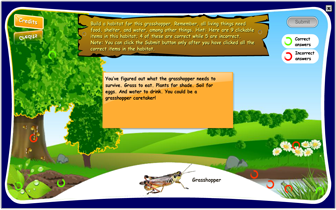 Additionally, the course assisted the learner to create a printable flip book of the insect’s journey from an egg to a larva to a fully grown-up insect. Using technology to enhance the learning process is definitely a lucrative proposition.The team at Harbinger realized that to win over the Entomological Foundation’s initial apprehension the learning programs needed to convince the client first, of its advantages. Post that they had to make certain that it is readily accepted by the audience. Harbinger’s game-based solution, which was designed based on the above criteria, with a variety of customized interactions, was consequently accepted with excellent outcomes.